HUGE Black Friday Savings + Even More! 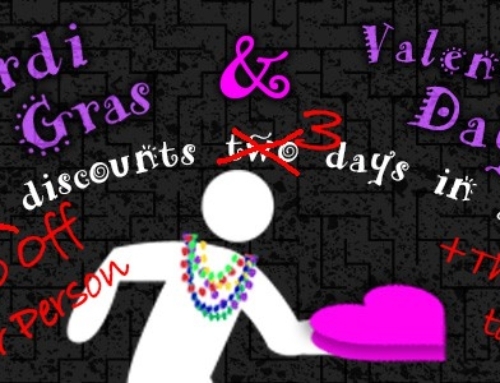 The Best Deals All Weekend! Make sure to include us on your shopping list this year for Black Friday, November 24th, because we have deals you don’t want to miss! We are even offering special savings events all weekend long, including Small Business Saturday, and Cyber Monday. 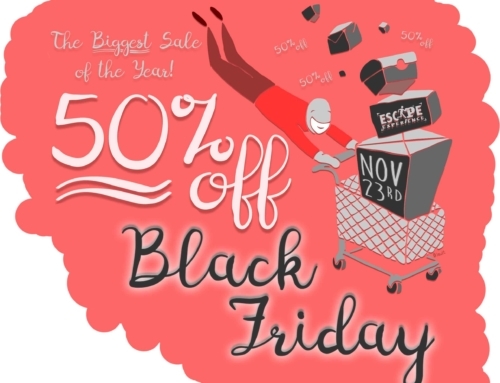 Black Friday 2017: 50% OFF ESCAPE ROOMS!!! 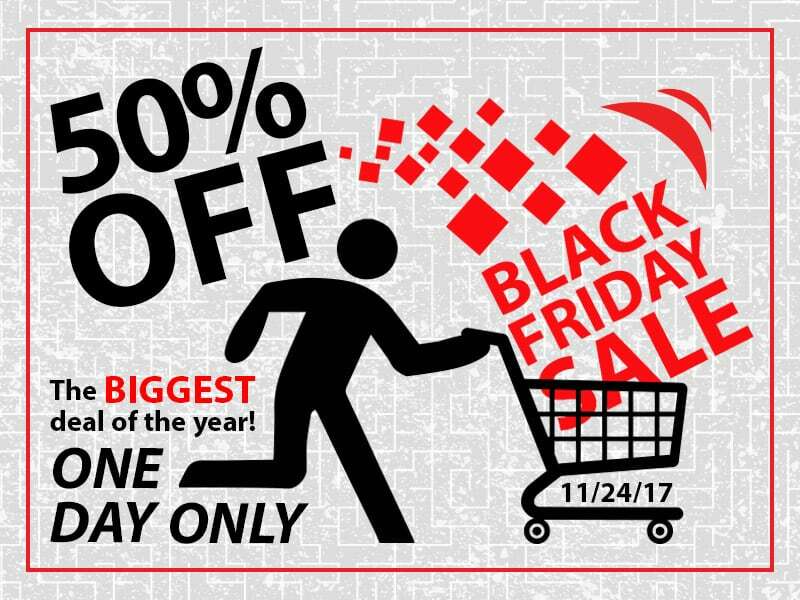 The best deal of the year is happening for one day only, Black Friday, November 24, 2017, all day long. Head to our website on Friday, and make a reservation for any one of our experiences happening between December 1st, 2017 and March 1st, 2018 to receive a massive discount of 50% OFF the total price. This deal is only redeemable online, but no promo code is necessary. Just book online on Black Friday. Terms: Experiences must be created and reserved online within the 24-hour period of Friday, November 24th, 2017. Discount is only valid for future reservations starting on or between December 1st, 2017 and March 1st, 2018. Not valid with any other offers. Experiences already booked inside the promotional period (12/01/17 – 03/01/18) are not eligible for the discount. Payment is required in full to reserve an experience. Not valid for merchandise, gift cards, or vouchers. Small Business Saturday is about supporting your local, small businesses (Hey, that’s us!). Thank you for you support! We would love to see you stop by Escape Experience Chattanooga, the original Chattanooga escape room company, and play a game with us on Saturday. 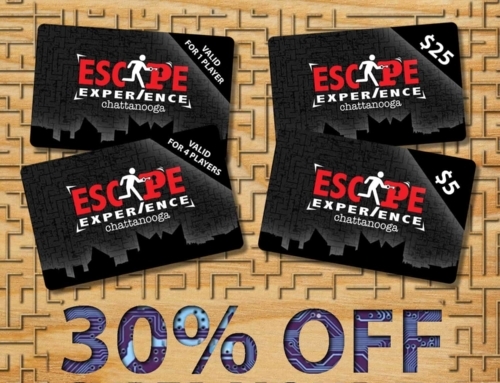 Each player who participates in an escape experience on Saturday, November 25, 2017 will receive a $10 gift voucher upon completion of their game to be used toward a future booking. Reservations for this special event can be made anytime in advance on our bookings page. Monday, November 27, 2017 kicks off our month-long online gift card savings event. Are you looking for the perfect gift for that hard to please friend or family member? Look no further than an Escape Experience gift card. With four different themed escape rooms to try, there is something for everyone to enjoy. Plus, you can receive a great deal, just for shopping early. For Cyber Monday, gift cards will be discounted at 30% off online for ONE day only. The following day, Tuesday, November 28th, your savings will drop to 10% off through December 11th before dropping again to 5% off through Christmas Eve. The quicker you buy, the more you save! This Cyber Monday deal and the other gift card discounts are only available online.